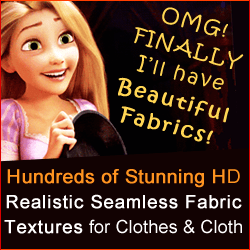 Perfectly tiling Realistic Life-Like Seamless Fabric Textures & Lace Trims Royalty-Free Library! 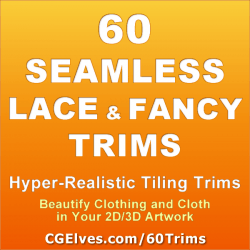 This special deal is a bundle of 77 packs of our best seamless textures, stunning tiling fancy trims and intricate lace trims. 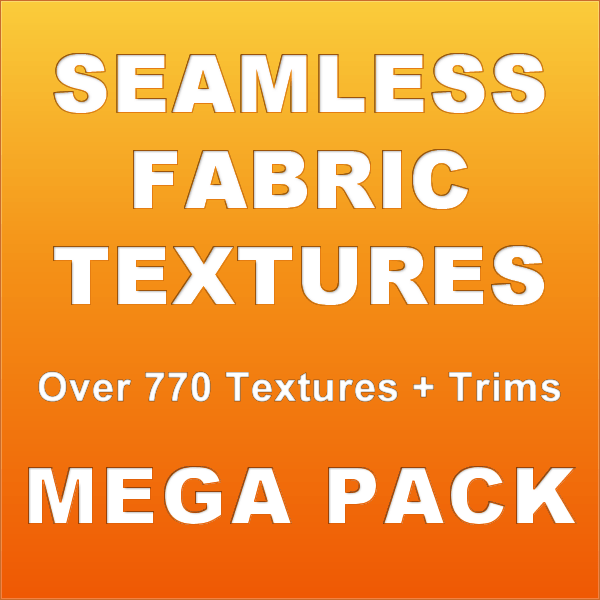 Each pack contains 10 textures, often with many additional free variations. The 2 bonus packs of terry-towel and denim-jeans have 15 original patterns in each pack. Textures are 1024×1024 px in size. 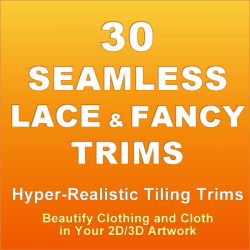 Use our tileable material textures to texture 3D models; clothes and cloth, architectural interior renders & 2D CG artwork. 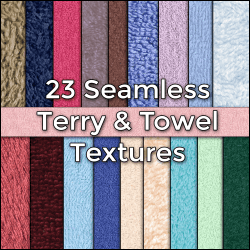 Our seamless tileable fabric textures are perfect for Marvelous Designer clothes, DAZ 3D and POSER clothes, for use in films, animations, games, virtual worlds and more. 4 packs of intricate fancy trims (especially great for renaissance/ Celtic/ royal / fantasy clothing). 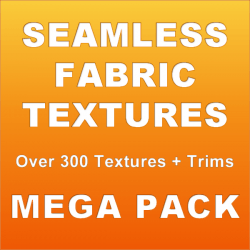 Each pack has 10 unique textures and often includes free extra variations. 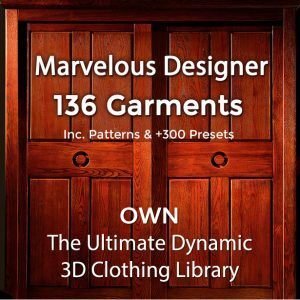 Some of these textures can look like amazing new material fabric grain, perfect for sportswear, or for silken smooth effects, when you scale them down.